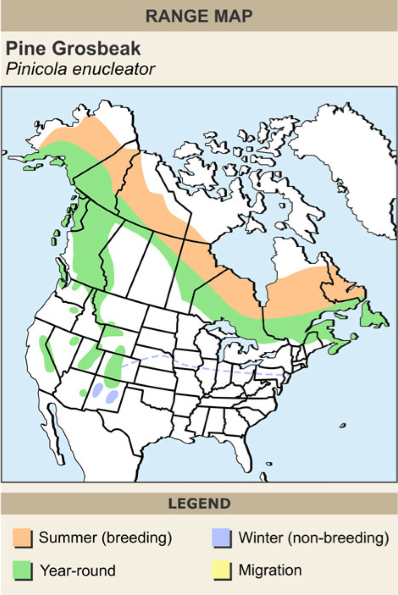 This is a medium-sized, plump, coniferous-forest-dwelling songbird. It has black wings with a pair of white bars and a black, notched tail. 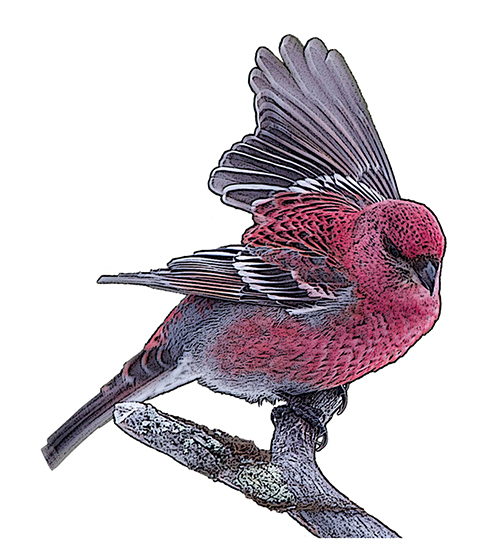 The male is pink-red, while the female has a yellow head and rump, a grey back and grey underparts.